Kristi Simpson enjoys creating original and current looks. From fresh fashion for infants and children to fun and flirty hats, shawls and some of the latest amigurumi shapes, her designs are approachable for beginners and stimulating for crocheters with a variety of experience levels. 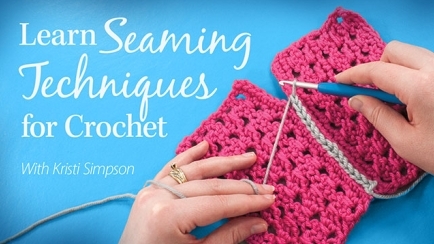 Her crochet designs have appeared in many popular magazines including Crochet! and Crochet World, and she has authored hundreds of pattern books. Her Annie's titles include Happy Hats for Kids, Sweet Shoes for Wee Ones and In a Weekend: Baby Shower Gifts. She has also instructed the Annie's Online Class Learn to Crochet Flowers. Visit www.kristisimpson.net for more details about her work. 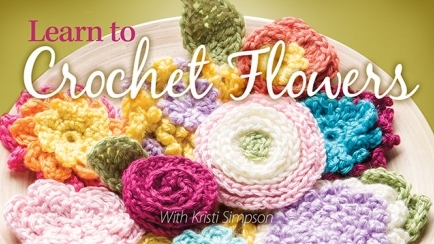 Learn to crochet 10 different blooms that will spice up your crochet projects and create beautiful items for family and friends!